Years ago, Dove chocolate packets used to contain small pages that would have inspiring quotes and "promise messages" inside them; among the many messages spread that way was a sentence "Age is nothing but a number". It has been a long time since Dove stopped sending out these messages; in that time, many rivers have stopped flowing and many forests have stopped blooming at the height of spring. Back then, Dove's message just might have been believable. But in today's advanced societies, it sounds like a dream. Most countries in the world have ageing populations and this unprecedented demographic change has already transformed their societies. Boys are no longer their mom's sons, just as girls are no longer their father's; they now hold their freedom over family ties and have learned that their old parents are burdens that they can no longer justify carrying. 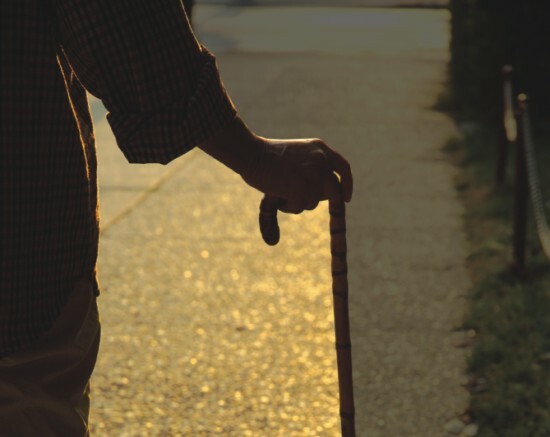 The elderly are considered burdens by their immediate family; their sons and daughters no longer want to take the responsibility of their bed-ridden parents. The same parents who did not allow their children to sleep on the floor lest they should catch a cold are now showed the door of the house by their daughters-in-law. The same father who did not enjoy a single week of vacation in his entire life in order to provide for his son is today considered a resource-hungry backload by that offspring. The same daughter, whom her mother would not allow to get away from sight for a single moment back then, chooses to leave the mother alone in an old home. All family ties, all bonds, all memories, all affection, everything decays inside old people's memories in a quiet corner of old homes; all because they are old, worthless and unfruitful. A man named George McDonald once said that age is not all decay; it is the ripening, the swelling of the fresh life within, that withers and bursts the husk. Well, a walk down the long corridors of Probin Hitoishi Kendra in Agargaon speaks otherwise. The frail bodies, the wobbly legs, the squinting eyes, and the silent tears that run down the uncountable wrinkles that line the sad faces; all speak otherwise. Many of the residents have moved to the old home after suffering for years at their own homes, where they find themselves unwanted and neglected. Not willing to stay back as a burden to their children, they move out of their own homes in order to give some space to the uncaring child. At least they can console themselves with the knowledge that their sons and daughters are happy; whether the joy is in getting rid of them is another question altogether. Even twenty years ago, the common Bangladeshi family would consist of three generations living together. Today, that is a "phenomenon" people hear about in stories and watch in Hindi serials. Today’s families consist of just a couple living with their children; the scope of their parents staying with them reduced to almost nil by their far fetching dreams and miserly minds. The children today have forgotten that when they were frail and helpless, their parents were the ones who had taken care of them; they were the ones who had woken up in the middle of the night to feed them, they were the ones who had walked with them in their laps all through the night, spending sleepless nights only so that their kids could sleep. Maybe it is society's fault that they have forgotten what their parents did for them, maybe it is its fault that it created the condition where they had to get rid of their parents, or maybe it is its fault that it does not have its own plans for the unwanted. Back at the old home, a collection of aged people gather around a tea table; their tea-side adda about to kick off. Here in the middle of nowhere, these people enjoy peace of mind thinking that their children are at least fine owing to the sacrifices they continue to make. A few lips curve at the corners when they are asked as to whether they want to go back to their own homes. They slowly reply, "This is our home". A study a few years back found that twenty nine percent of the people at the old homes have no contact with their families; ninety six percent of them had no plans to come to old homes until they became burdens; twenty two percent of them were actually sent to the old homes by their children. Almost all of the people residing at the paid old home have close family members alive; more than eighty percent have one of their children living in Dhaka, ninety nine percent of whom are rich enough to bear an extra person's living cost. The problem is that the children have forgotten that they too will become old one day; and that their sons and daughters will send them off to old homes just like they did to their parents. Then maybe, sixty years later in a tea-side adda along with some other old people, they will confess that they understand; age is everything but a number.